Prime Minister Sheikh Hasina on Tuesday said her government was trying to build a future where the children will have a beautiful, secure and prosperous life, UNB reports. “Today's children are the leaders of the future. We want to groom our children that way. 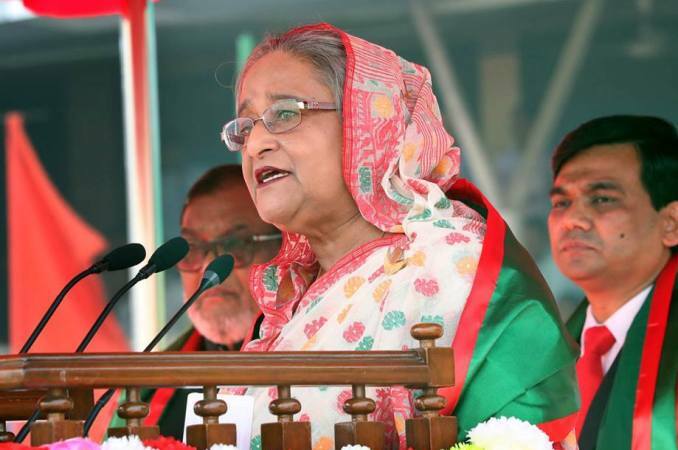 They'll work for the country imbued with patriotism and love,” she told a rally of children and juveniles at the Bangabandhu National Stadium on the 49th Independence and National Day. “Their merits and creativity have to be flourished. They'll lead a beautiful life. That’s our aim. We’ve started various types of competitions across the country for that purpose,” she said. Before her speech, Hasina inspected a parade comprising various teams of students of the district's schools and colleges.